Is your state farmers market association a State Partner? You may already have FMC Membership. See our list of Current State Partners below. Having trouble logging in? See the FAQ below. 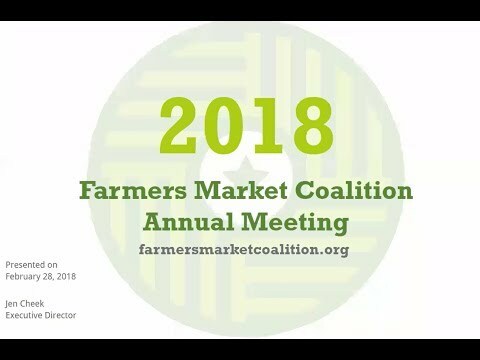 Farmers Market Coalition membership offers market managers, farmers, consumers and supporters the opportunity to work collectively to strengthen farmers markets across the country. As a member, you have access to the programs and resources that FMC creates and collects, and to a network of thousands of like-minded individuals working to improve their local food system. FMC serves as the voice of famers markets in issues of federal and state policy, representing the interests of our members and supporters. Together, we can make farmers markets even better. Join us! A voice and a vote in membership meetings and Board of Directors elections. Representation at the table with federal agencies and organizations which provide funding for farmers markets and establish national policy, and advocacy opportunities. Access to Farmers Market Metrics, a complete evaluation & data communication system that empowers market operators to tell their market’s story. An electronic subscription to the market beet, our seasonal electronic newsletter, and a subscription to our weekly farmers market news email, Fresh Picks. Access to a volunteer team of farmers market practitioners to help answer your most important questions. Access to regular member-only webinars on timely education topics and opportunities to have your questions answered live by experts. 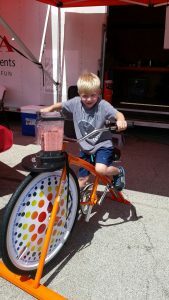 Access to National Farmers Market Week promotional tools. A special ‘Proud member’ badge for your organization’s web site, which links your visitors directly to FMC’s valuable resources. Access to member-only Directors’ & Officers’ Insurance Policy for nonprofit farmers market organizations through Campbell Risk Management. Opportunities to participate in special member-only programs like Discover You Can and Discover Market Fresh. Member Only Resources, such as POP Club Guide, Toolkit, and Templates. Knowing that your contribution improves our ability to respond to farmers markets’ needs today, tomorrow, and in years to come. Membership dues are annual and tax-deductible to the full extent allowed under IRS 501(c)(3) law. Should you have specific questions about membership, please use our contact form. FarmFan is bulk texting software built for farms and farmers markets. Just tell FarmFan when your market or CSA pickups happen, and we’ll text you a reminder a few hours before each event. Old Time Wooden Nickel Co. has been making custom printed wooden nickels for 70 years and have been working with Farmers Markets for over 13 years. They have proudly collaborated with various markets over the years to develop a product and services that meet the specific needs of Farmers Markets. They’ve recently added a Farmers Market members page where you’ll find a list of exclusive Farmers Markets discounts, a members forum, information about token security and a section with tips and advice for new markets that they’ve put together from the most common questions and feedback received. There’s also a link to a Farmers Market order form that includes special stock designs and clipart that are not available in our regular ordering system. Old Time Wooden Nickel Co will offer an additional 10% discount to FMC members. This discount is on top of their existing Farmers Market discounts and special rates. How do I log in to FMC? To access your FMC member benefits, please click on one of the benefits on this page, which will lead you to a log in page. If you don’t have your login, you can recover it using the ‘reset password’ option from the login page. You will need to use the email address associated with your FMC account to log in. To use Farmers Market Metrics, either the entire site or just the Directory component, you will use the same FMC credentials as your FMC account. Simply navigate to www.farmersmarketmetrics.org and log in to get started! Please know that to use Farmers Market Metrics, and other FMC benefits, you need to use a unique email address that is associated with your farmers market, as opposed to a non-email login name, or an email that won’t stay with your organization during staff changes. To manage your membership account log in here. Then select the from the drop-down box on the right to manage your membership. You can also purchase Farmers Market Metrics services from the dropdown box. I haven’t set up a FMC Member Login yet. How do I do that? To set up your login to the membership portal, click here and enter the e-mail address you used when you last paid membership dues. This is also the e-mail where you receive your FMC communications, including renewal notices and newsletters. You should receive an email with further instructions to set up your account. I created an account, but it says I’m not a current member. What is happening? To access your membership account, you must log in to the same account that is associated with your membership. For example, you may have just set up a personal account, but it’s the Farmers Market you manage that has paid membership dues. Try logging in again with your Farmers Market, Farm or Business information instead to see if that works. If that doesn’t work, the best way to figure this out is to email liz@farmersmarketcoalition.org or call (888) 362-8177ext 703 to walk through it. Please try to provide us with as much information as you can, including your name, email, and the Farmers Market, Farm or Business you work with, if applicable. I forgot my login or password! What do I do? To reset your password or login information, click here and enter the e-mail address associated with your FMC membership account (this is the email you entered when you last paid membership dues and where you receive FMC communications, including renewal notices and newsletters). You will receive an email with further instructions on how to reset your password and access your account. I didn’t receive a confirmation email for my membership, donation or event registration. Where is it? Occasionally, our email messages get filtered and don’t make it directly to your inbox. If you don’t see a confirmation message, check your Spam or Promotions folder to see if it ended up there, and please be sure to add the @farmersmarketcoalition.org domain to your safe or trusted senders list. Still not seeing your confirmation? Please email liz@farmersmarketcoalition.org. Still having issues? Please contact Liz Comiskey at liz@farmersmarketcoalition.org or (888) 362-8177 ext 703 to troubleshoot your problem. Want to add FMC Membership to your organization’s benefits? FMC’s State Partner Program allows state associations to automatically provide FMC membership to their own members. This option allows state associations to easily expand their services, while also ensuring that their state is well-represented within the FMC member base. The more members we have in a state, the more we know about its needs and activities, and the better we can represent them in our policy efforts. FMC is committed to offering state partnership at an affordable rate, so each State Partner determines their member fees based on the ability of their organization. FMC suggests 0.1% of the organization’s annual budget as a guideline, with a minimum fee of $100 and maximum fee of $2,000. State Level Networking: Up to two participants from your organization can participate in FMC’s State Leader Committee conference calls (every 6-8 weeks), where FMC Board and staff check in on local regional goals and objectives to ensure policy alignment and discuss emerging issues. Participation in the State Leader Listserv, where other state-level network leaders share resources, questions and information. How does my organization sign up to be a State Partner? You can sign up right on our website using the join tab at the top of the site. How do we send FMC our list of state association members? Once you have submitted your registration to be a FMC State partner, access this spreadsheet template to compile your member list (excel file). When the list is ready, it can be submitted here. Currently, state partners email FMC regularly with new membership updates using the excel spreadsheet and form links above. There will be an automated reminder process soon. Do the members of my association have to be farmers markets to become members of FMC? No, any individual, farmers, business, or organization, etc., can be a member of FMC. How will you contact our members? After we have imported your members into our membership database, we will email your members to let them know their FMC membership is active, tell them about the benefits, and instruct them on logging in. Membership is for one year. You will receive renewal notices before it ends. How is a State Partner different than our current membership? If your organization is a member of FMC, but not a state partner, your members do not receive membership benefits, only your organization does. If you are in one of the states listed below, we encourage you to join your state association to become a member of FMC.